On this edition of No Holds Barred, host Eddie Goldman speaks with our senior correspondent and the veteran martial artist John Perretti. 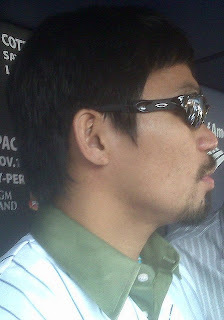 This past Saturday, June 9, once again we saw an outrageous decision in a major boxing match held in Las Vegas, Nevada. With about 99 percent of those watching the Manny Pacquiao-Timothy Bradley fight agreeing that Pacquiao had clearly won the 12-round fight, two of the three judges incredibly gave it to Bradley, giving him a split decision victory, and again exposing the horrific governance in the sport of boxing. We spoke with John Perretti Monday afternoon by phone about boxing's latest debacle and scandal. We discussed the issue of whether this absurd verdict was the result of incompetence or corruption, and what we actually know now. We examined the role of gambling in fixing results in sports in general. We discussed why having the Nevada authorities investigate this, as promoter Bob Arum has called for, is, in John Perretti's words, like having "Hitler investigate Mussolini." We also discussed the role of the Nevada State Athletic Commission, the need for the U.S. Department of Justice to investigate this matter, and the need for a U.S. National Combat Sports Commission to oversee professional boxing, mixed martial arts, and kickboxing. We noted the importance of social media in recording and mobilizing popular outrage about this scandal, why this will make it much harder for this debacle to be forgotten with time, and much more. In addition, we open by presenting an update on the memorial activities for Grand Master Roger Clark, who passed last week at age 47 from a heart attack. In his honor, there will be a free memorial martial arts seminar this Saturday, June 16, at I.S. 292 at 301 Vermont Street in Brooklyn, New York.